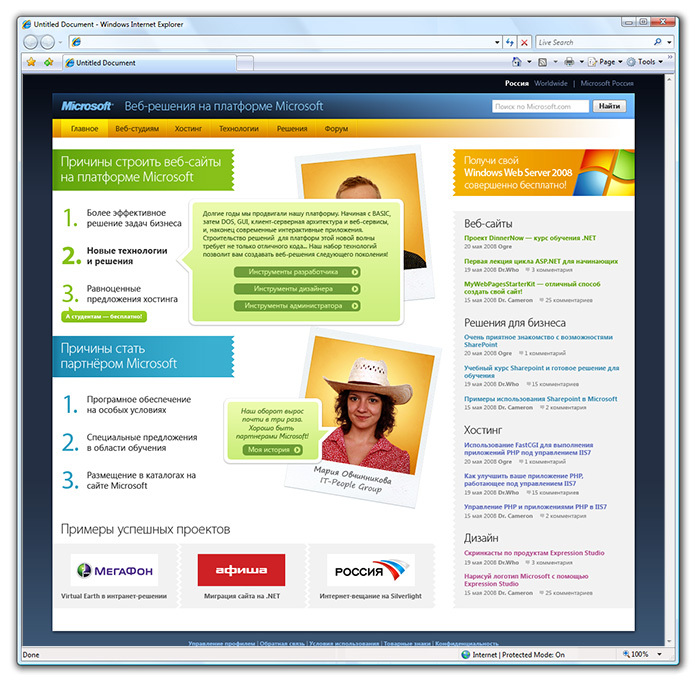 It happened that Microsoft Corp. approached us to develop design for a site describing web solutions based on the Microsoft’s platform. We got excited and signed up for the project. Such an opportunity to work with the software giant does not happen every day. But the task was not trivial. We had to work out a new approach to present the information by keeping it easy and simple. We wanted to avoid unnecessary marketing but still add some concrete stuff. First, we sketched out a prototype of the future site. To make sure that the site would fulfill its mission, we thought about its audience and imagined possible user interaction scenarios. Got used to working with PHP. 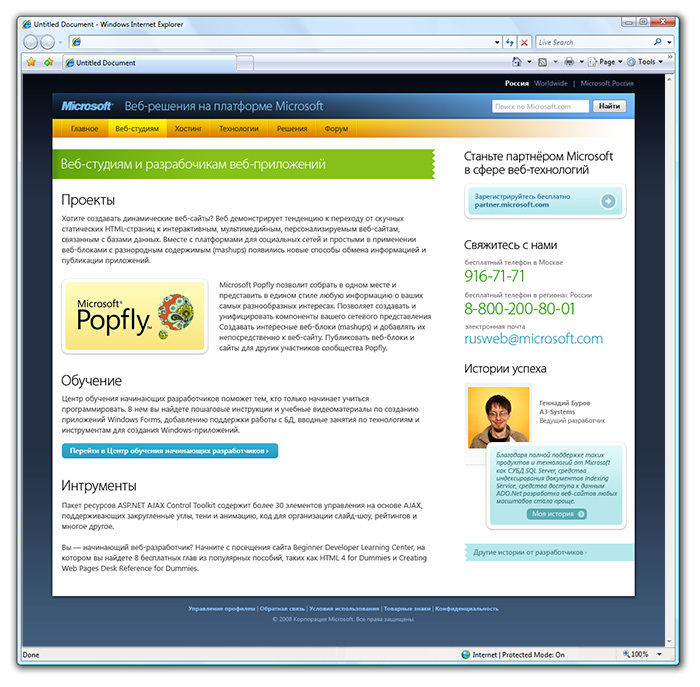 Does not have any premonition against working with Microsoft’s products but still does not a clear understanding about the advantages working with such. 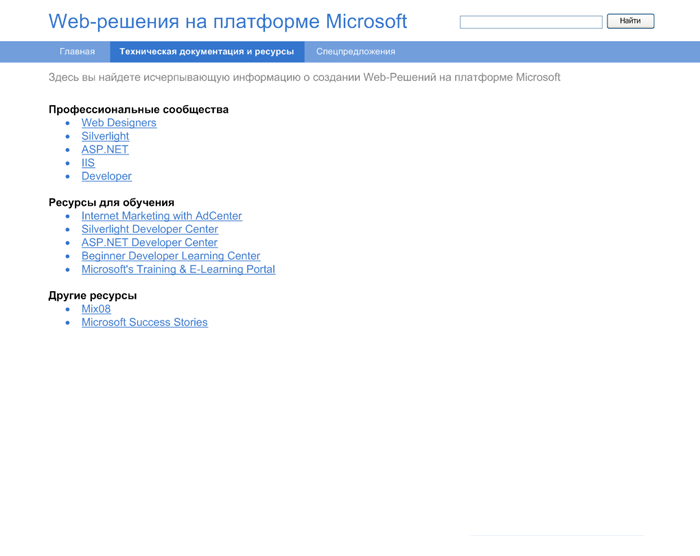 Alexey visits the site and sees the heading “3 reasons to build websites using the Microsoft’s platform”. 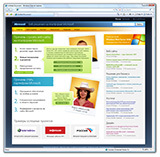 Alexey is never against effective business solutions and affordable hosting but still he is more into another reason — he cannot survive a day without testing some new tools. She is accustomed with using Adobe’s tools with some experience in Flash. She is aware that Microsoft has launched some alternative to Flash but has not yet seen it. She would like to try it out to have a first-person experience. Lisa visits the site and clicks “New tools and technologies” right there (Lisa does not waste any of her time and always targets her goals). In the information section she will see the “Designer’s tools” button and voila — she has reached her destination. 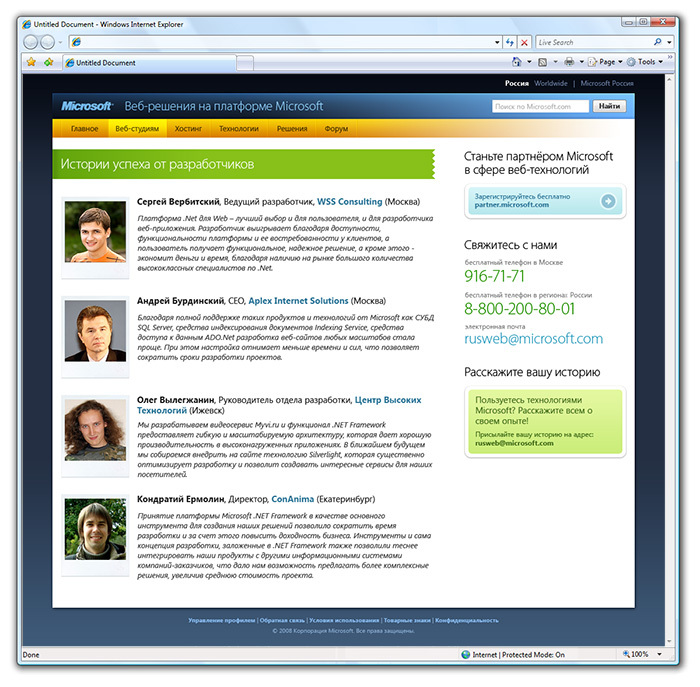 Konstantin has a general idea that the Microsoft’s technologies could help in creating new web solutions for his clients integrated with the internal tasks (such as accounting and document flow). But Konstantin is stopped by the issue of price and extra efforts to cope with the staff’s learning curve. After such thoughtful preliminary work it did not take long to draw a layout for the home page. 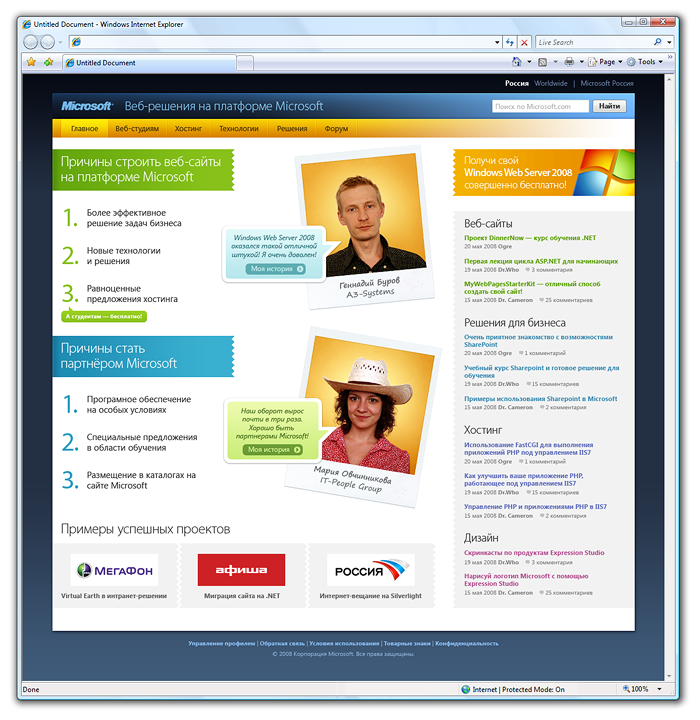 We took some liberty to deviate from the traditional cold-blue Microsoft’s color scheme and added some bright warm colors. It turned out simple but cute. 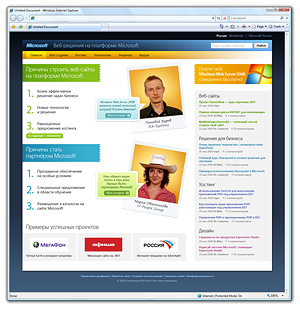 One of the home page’s cool features became the “talking pictures” — stories from the real people about their real life experience using the Microsoft’s solutions. Plates with ragged edges are the zest of the graphic style. 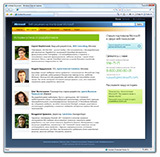 They are used in all materials related to the web solutions: the site, brochures, disks, etc. Then we used all of our affection to draw the dynamic elements for the home page and layouts for the internal pages. Unfortunately our participation in the project was limited only to the graphic layouts.